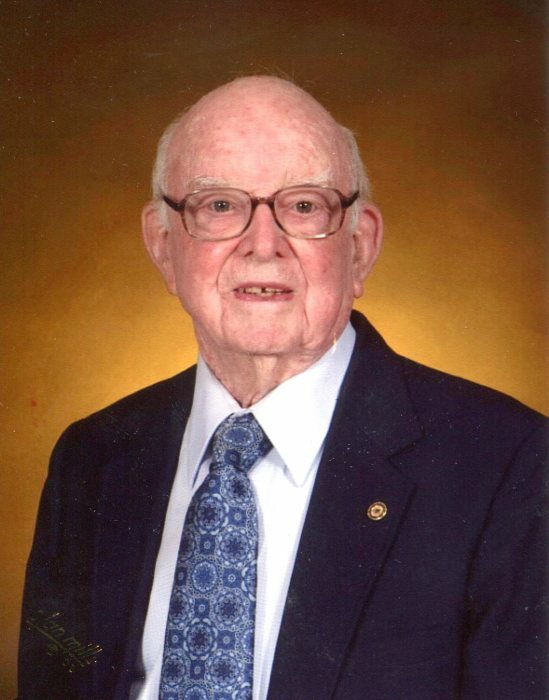 Waynesville, Raymond K. Caldwell, age 95, passed away on Tuesday, January 29, 2019 at Haywood Lodge & Retirement Center. A native of Haywood County, he was born in the Cataloochee Valley and was the son of the late Jarvis R. and Bonnie Childers Caldwell. In addition to his parents he was preceded in death by his wife, Jackie White Caldwell, who died in 2011; brothers, Kendrick, Jonathan, J.R., Hershel Caldwell and brother-in-law, Roy Ross. He was a US Navy veteran and served during World War II. After returning from service, he returned to Haywood County and became an automobile dealer and farmer. He later owned and operated Caldwell Plumbing, Heating & Hardware from 1954 to 1981 and was a member of Waynesville First United Methodist Church. He was a past master of Waynesville Masonic Lodge 259; a Scottish Rite Mason. He was also a member of Oasis Shrine Temple of Charlotte, Haywood Shrine Club, American Legion Post 47, Waynesville Golf Association, Waynesville Historical Society, Friends of the Library and Waynesville Rotary Club. He was an active member of the Haywood Country Civil Air Patrol for 44 years; a past chairman of the Haywood Democratic Party; and past president and member of the Waynesville Lions Club. In 2002, he was named to the Haywood Hospital Foundation Board of Trustees as a lifetime honorary member. He was an avid fisherman, hunter and pilot. Raymond is survived by his brothers, Joe (Doyle) and Harley (Pat) Caldwell; a sister, Ann Caldwell Ross; sister-in-law’s, Helen June and Mildred Caldwell; several nieces and nephews. Funeral services will be held at 2:00 p.m. on Saturday, February 2, 2019 in the Waynesville chapel of Wells Funeral Home with Reverend Patrick Womack and Reverend Kathy Wilson officiating. Masonic Rites will be performed by Waynesville Masonic Lodge 259. Burial will follow at Garrett-Hillcrest Memorial Park. The family will receive friends from 12:30 until 2:00 p.m. prior to the service at the funeral home. The family would like to thank the employees of Haywood Lodge & Retirement Center for their loving care of Raymond.